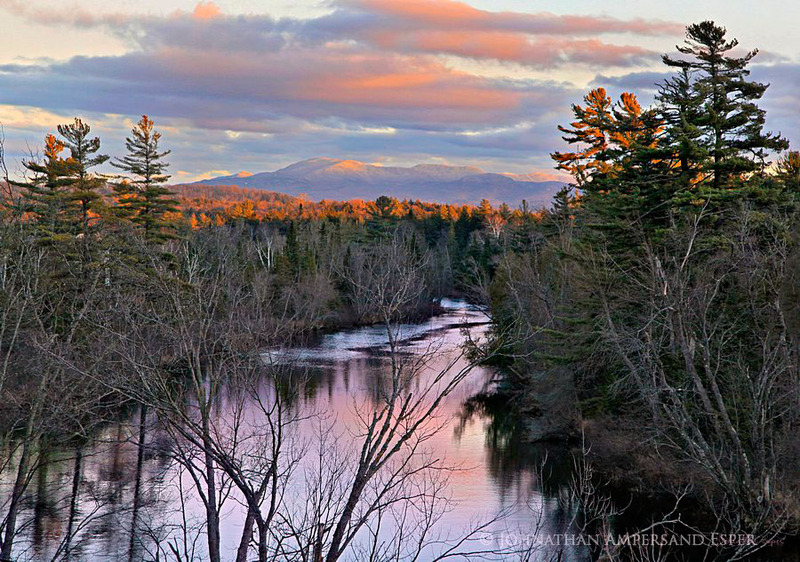 The Raquette River and the Seward Range mountains of Seymour, Seward, Donaldson, and Emmons, after a November snowfall; photographed from a Treetop along the Tupper Lake Road. This photo on clearance! 30"x20" Plaq-mounted version = $140! Ask for discount code to use at checkout!